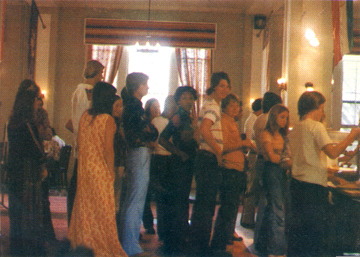 A photo of students lined up in the dining room for lunch. Hope its not mystery meat! From the 1977 yearbook.